Amy Cox founded The Movement Practice in 2008, an organization that brings her skills as Pilates teacher, choreographer, dancer and movement researcher under one roof. A native of Denver, Colorado in the United States, Amy lived 13 years in New York City where she taught Pilates and ran her own dance company. She has been a Pilates instructor for 23 years. Originally trained by Cori Doetzer in NYC, she worked with Cori at ‘Corfitness’ for 12 years. 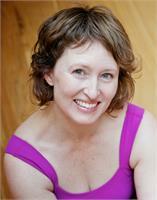 She became certified in Gyrotonic® and Gyrokinesis® which she also taught for 7 years. While in NYC she worked alongside osteopaths and phsyiotherapists which was influential in her teaching. In 2015, Amy became a certified BASI (Body Arts and Sciences International) instructor, and in 2016, completed the BASI mentor, master and master reunion programs with Rael Isacowitz. In addition she has completed master education with BASI, Pilates for Injury and Pathologies (2016) and Pilates Through Pregnancy (2017). Amy grows The Movement Practice as a BASI host studio that is visited internationally by teachers and students alike. She currently works toward becoming a BASI teacher trainer. She finds the BASI method a rare combination of clear movement form, physical challenge, grace, precision, and flow. As a teacher using the BASI Block System®, she enjoys the organisational support and creative freedom that the system provides. Sessions with clients are never one alike, consistent in building level and always meeting the needs of each client. In addition to BASI, Amy currently follows the Anatomy Trains education and works toward eventually becoming a KMI Structural Integration practitioner. Movement Practices that have deeply influenced Amy in the past include: Alexander Technique (Sarah Gamble and Daria Fain), Body Mind Centering (RoseAnne Spradlin), Chi Kung (Healing Tao and Prosodic Body training by Daria Fain), Skinner Release Technique (DD Dorvillier and Bettina Neuhaus), Tai Chi (sifu Jesse Teasley and ITCCA Martin Klett, Amsterdam), Contact Improvisation (Andrew Marcus), Iyengar Yoga (Genevieve Kapuler), Vijnana Yoga (Shirley Woods, Amsterdam).